Man love knowledge and have always desire to know. In fact we feel insecure when we don't know enough about certain things. However, the Christian is th one who desire not just to know but to know the Truth. Christians are not those who gather to know the Bible. But they are a people who gather to know the Truth. God sent Jesus to call and gather the truth seekers, because only those whose heart are focus on the Truth can really follow God. "Then the people began to murmur in disagreement because he had said, “I am the bread that came down from heaven.”... Yes, I am the bread of life!... Then the people began arguing with each other about what he meant. “How can this man give us his flesh to eat?” they asked. So Jesus said again, “I tell you the truth, unless you eat the flesh of the Son of Man and drink his blood, you cannot have eternal life within you... At this point many of his disciples turned away and deserted him. Then Jesus turned to the Twelve and asked, “Are you also going to leave?” Simon Peter replied, “Lord, to whom would we go? You have the words that give eternal life. We believe, and we know you are the Holy One of God.” " (John 6:41, 48, 52-53, 66-69). This passage startle me, Jesus was speaking in a way that is hard for the Jews to understand yet he seem not to care too much about that. It was hard for a Jewish man to understand the justification of eating ones flesh and drinking ones blood. This is totally against what they believe in. Jesus knew all of this and when they were struggling to understand it Jesus could and broken it down by explaining to them that he was speaking figuratively. But Jesus didn't seem to care, instead he continue to insist that his flesh must be eaten and they must also drink his blood. Many disciples left him that day and Jesus could have prevented this if he had told them he wasn't speaking literally. Jesus refuse to appeal to their reasoning and rational. He didn't try to satisfy their rational by explaining how reasonable his statement is. This is because Jesus wasn't looking for those who subject everything to their rational and carnal reasoning. He was looking for those like Peter who perceive the truth with their heart. People who, although cannot understand it with their unsanctified reasoning but yet recognize the truth with their heart. These are the Truth seekers, they are not after things that look appealing in their reasoning. They desperately desire to know the Truth that is why they could recognize it when they see it. Many of our teachings in the Church today are things meant to appeal our rational. We try to make the Gospel reasonable enough so that the world would believe it. But this would only bring into the Church people who refuse to allow their carnal reasoning pass through the cross. The Church is then filled with people who want to satisfy their mental curiosity. The Lord is not after these, he is after people who would believe this foolish Gospel because they know in their heart that it is true even thought their head is saying something else. 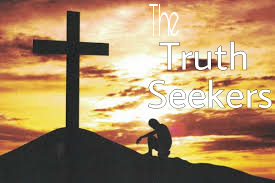 Only the Truth seekers have what it takes to follow God in His diverse ways of revealing Himself and leading. 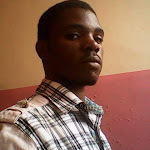 These Truth seekers are able to recognize Christ in what ever form he may appear because they have learnt to apprehend truth with their spiritual faculties.